Although I try to avoid synthetic, or petroleum based, beading and jewelry materials, I can certainly appreciate the beauty of some of the best plastic, acrylic and resin creations. Vintage Lucite and Bakelite are hugely collectible and can be expensive. 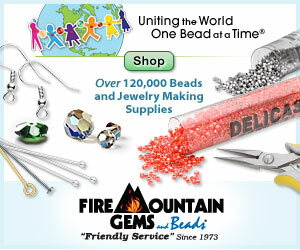 Luckily, resin provides the same look at a fraction of the price, and thanks to mix and pour products, beaders can even create their own unique beads using resin. 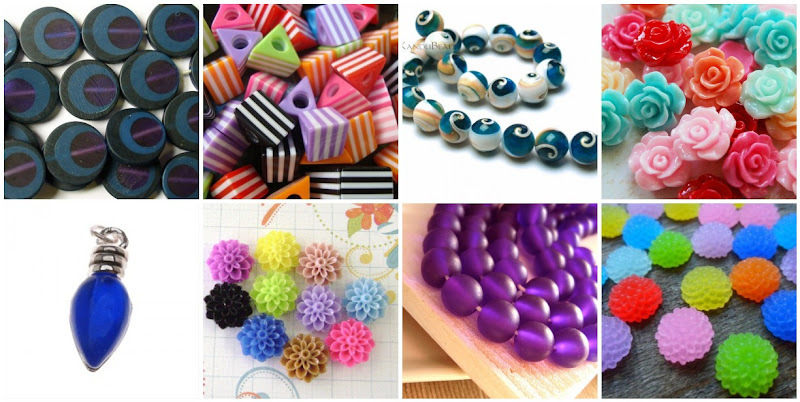 Highly affordable resin beads in every color and shape are everywhere, and handmade resin bead imports are an inexpensive way to add color and history to a design. You’re probably already familiar with the chrysanthemum cabochon, which became an instant favorite for designers and bead shops. I have to admit I’m often a little jealous of mixed media designers that get to use stunning resin beads and their own encased collages. 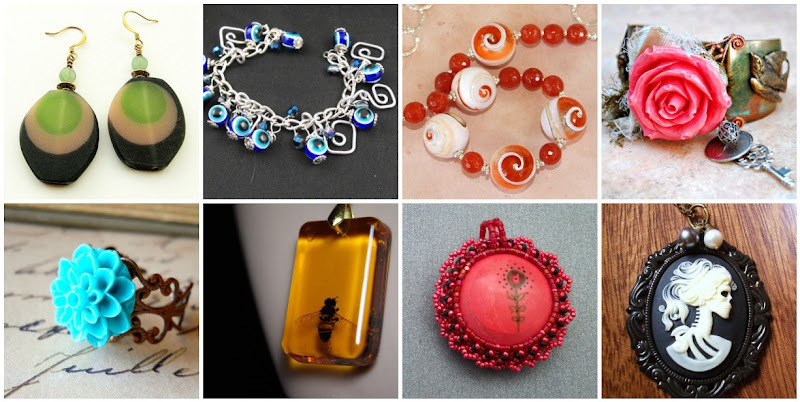 These designs offer just a few examples of the beauty and versatility of resin. Do you like to use resin in your work? What’s your favorite style? Your blog posts are always so interesting and inspirational, Morti! I read each and every one - need to comment more, I know, I know :) Many thanks for showcasing my operculum shell necklace. Am like you, I don't usually use synthetic items in my designs, but those shells were just too cool to pass up! Guess they are only 1/2 "un-natural" And I see you included some others in a different color combo. Will definitely check those out! Thank you, my friend! Hope you have a wonderufl weekend! Thank you, Catherine, and you are most welcome! I admit I had a huge moment of doubt when I saw those shell and resin beads. They are truly awesome. A very neat blog post. I'm not a resin fan as a rule but I have some beads left over from teaching kids classes and have used a few. Thanks for including that evil eye bracelet. Hi Mortira! I love reading your posts! Always so interesting. Thank you for including my resin slice earrings.